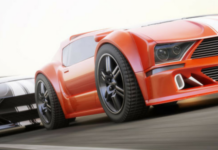 Home Autonomous Cars Autonomous Cars: Is the Technology There Yet? If you’re like many car dealers, you’ve likely been fielding inquiries from consumers about autonomous cars. 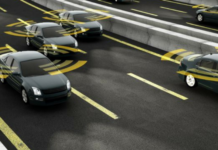 Call them automated vehicles, robocars, self-driving automobiles or any variance in-between, the technology surrounding this once futuristic idea is becoming a reality. What’s puzzling to many people is the fact that for autonomous cars to navigate the roads safely, they have to “think like a human.” For instance, if you’re driving near a park and see a ball rolling toward the street, you might assume that a child will be chasing after it, causing you to consider braking. What if you didn’t see that ball? Considering how many accidents occur every day with humans at the wheel, one might think cars should think better than humans. 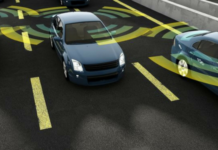 The car must be equipped with technology that allows it to distinguish anything on the road as a potential obstacle, which is something that has been referred to as “freezing the robot” by some engineers. Basically, the car perceives cyclists, pedestrians and anything else that could possibly be involved in a collision as an obstacle, causing it to freeze. Researchers are working on this freezing issue, improving the technology that allows it to predict and be assertive. The key is artificial intelligence. With repetitive observation and modeling, researchers are training the system to react to various potential obstacles. Not all obstacles are the same. For instance, a human moves about making conscious decisions, whereas objects without the ability to think are true obstacles. Artificial intelligence is improving, giving computers the knowledge needed to know when a driver in the right lane is approaching an exit, but they are accelerating instead of braking. The computer can ascertain that the car is not going to take that exit. This is an example of how computers are learning how people think and how they achieve the things they want/need to do, and a prediction as to what will happen next can be made. You see a woman walking toward the street and at first think she might be oblivious to the oncoming traffic because she’s not looking up. Then you notice she has her car keys in her hand that she’s simply walking no farther into the street than to her car door. You make the decision not to brake. Can autonomous cars do the same? Researchers refer to such an issue as multi-agent problems and recognize that they’re difficult to work around, but not impossible. Researchers are currently hard at work in areas of the world where there is far more pedestrian and cycling traffic than what we experience in the U.S.
What questions are you getting about autonomous cars? Are your clients excited about autonomous cars or do they have a negative opinion of them? Does Digital Marketing Work For Auto Dealers?